Like it or not, there’s a good chance you’re hooked on your phone – as we reported last year, the average American checks their phone 80 times a day. 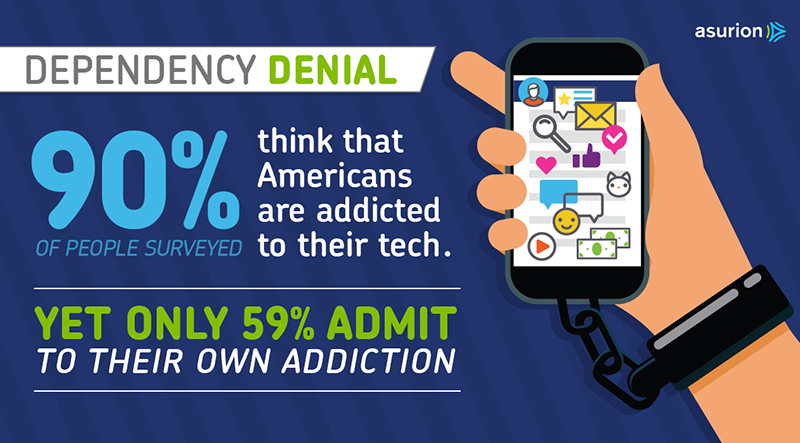 Whether or not you consider yourself an “addict,” there’s no doubt that tech dependency is at the forefront of the national conversation. Tips for disconnecting and declaring independence from our phones abound on the internet, as our behaviors indicate that we’re finding it increasingly hard to live without our devices. Admitting how much we rely on the tech in our lives is not always easy. In a recent Asurion survey, over 95% of participants said they felt that Americans were addicted to their phones; however, only 59% felt that they themselves were too dependent on their phones. 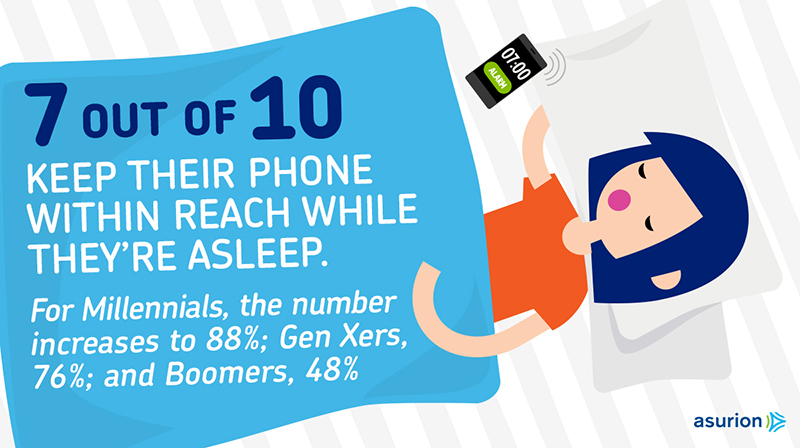 70% of people said they sleep with their smartphone within reach. 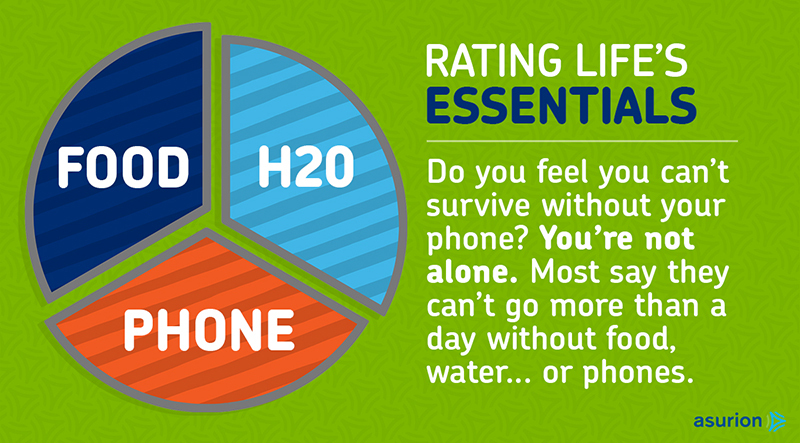 Even when not catching zzz’s, our phones are still in close proximity. 45% of people keep their phones in their pockets and 32% keep them “out loose,” which indicates that the majority of us are merely a touch or a glance away from our phones at any given time. Nearly a quarter of people (23%) have taken a work-related call while in the restroom, and 63% admit to rarely going to the bathroom without their phone in hand. 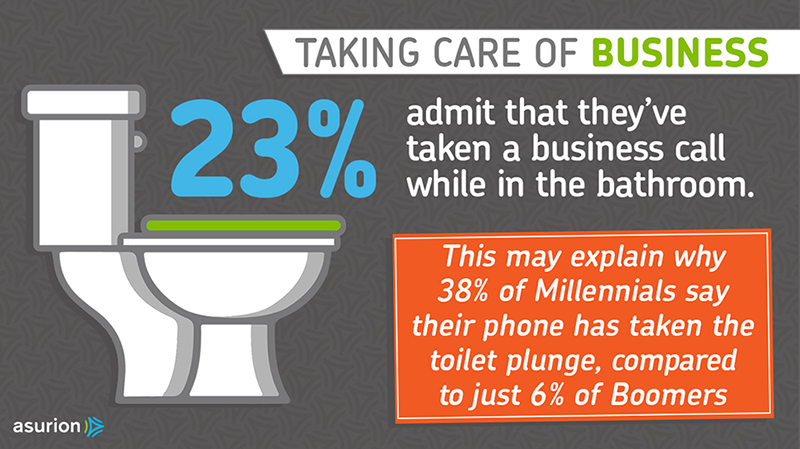 This behavior may explain why 38% of Millennials said they’ve dropped their phone in the toilet, compared to 19% of Gen Xers and 6% of Boomers. *Source: Asurion 2018 Consumer Tech Dependency Survey. 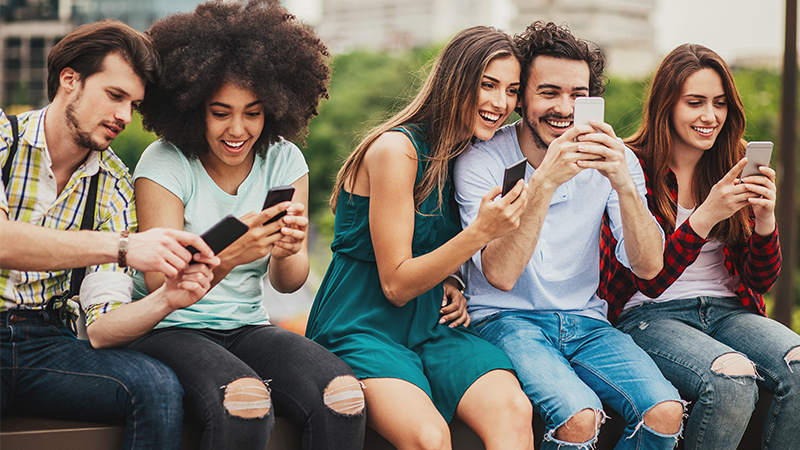 Asurion partnered with SSI, an online market research fieldwork provider, to survey 1,000 U.S. cell phone users, ages 18-65. March 2018.